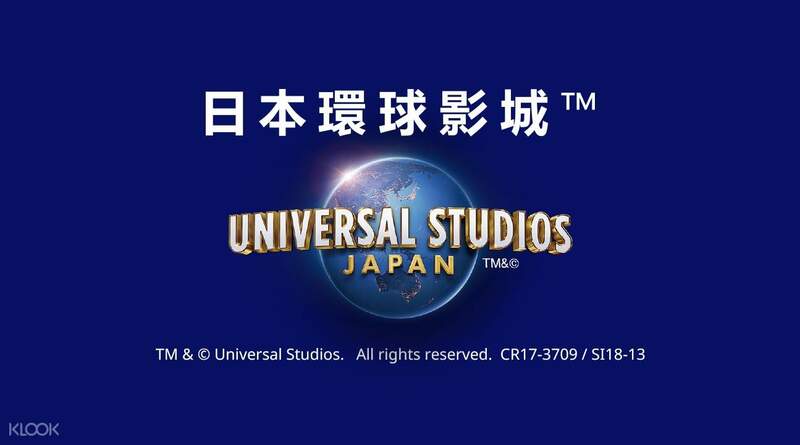 Book through Klook and avail of a 2-day ticket to enter the famous Universal Studios Japan™ in Osaka! Spending an entire day inside an amusement park may not be enough to fully appreciate what it has to offer but two days should be enough for you to be able to get the most out of its features. Book through Klook avail of a ticket to enter and fully experience the wonders of Universal Studios Japan™ for two consecutive days! Visit its various sections, take your time immersing yourself in the enthralling depictions of the worlds of many popular Hollywood blockbusters, hop on exhilarating rides, and participate in fun-filled activities that you and your companions can enjoy. If you pair this ticket with an Express Pass, you can enjoy skip-the-line access to USJ’s top attractions, giving you more time to appreciate its hallmarks. This is definitely a must for anyone looking to take a break from sightseeing around the city of Osaka, especially for those intending to spend some quality time with their loved ones in one of the county’s most highly-touted theme parks in Japan. Avail of 2-day Universal Studios Japan™ tickets and get the most out of its wonderful attractions! this is one of the must buys.. no frills redemption and it's very easy to use. cheaper price than on the gates too. this is one of the must buys.. no frills redemption and it's very easy to use. cheaper price than on the gates too. Lines will close early to accommodate closing time . Eg 120mins wait , attraction will close 2 hours early . Lines will close early to accommodate closing time . Eg 120mins wait , attraction will close 2 hours early . 2 days was a bit long, depends if you wanna take your time. It wasn't too busy during the period we went so could have completed in a day. Lots of fun for kids and Harry Potter fans. 2 days was a bit long, depends if you wanna take your time. It wasn't too busy during the period we went so could have completed in a day. Lots of fun for kids and Harry Potter fans. the theme park is packed with rides and souvenir shops which are really worth seeing. the wizarding world of harry potter is what we are really after and it was amazing. the kids enjoyed it especially the rides and our dinner at three broomsticks. the theme park is packed with rides and souvenir shops which are really worth seeing. the wizarding world of harry potter is what we are really after and it was amazing. the kids enjoyed it especially the rides and our dinner at three broomsticks. Second time using Klook to buy the universal studio tickets. Klool make it so easy to buy USJ ticket. Thank you. Second time using Klook to buy the universal studio tickets. Klool make it so easy to buy USJ ticket. Thank you. Can use voucher as ticket, very convenient as compared to other vouchers where you need to change it to a ticket at another place. Can use voucher as ticket, very convenient as compared to other vouchers where you need to change it to a ticket at another place. Great place to visit! 2 day pass is just right to almost finish everything in usj. Great place to visit! 2 day pass is just right to almost finish everything in usj.